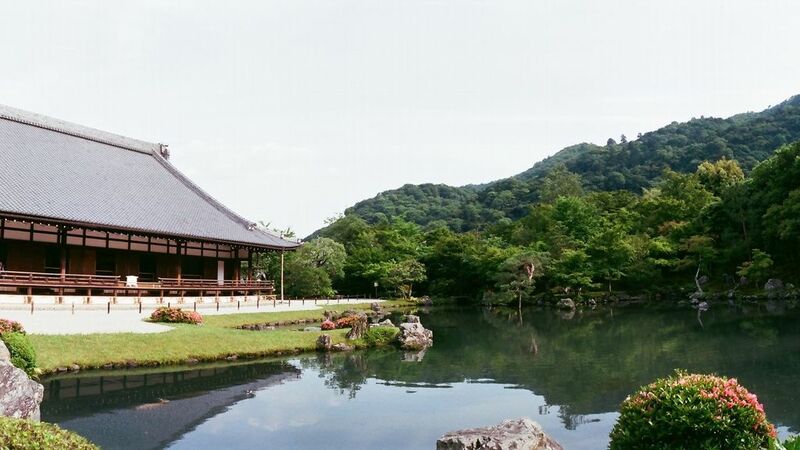 Tenryu-ji Temple, the first-ranked of the Five Great Zen Temples of Kyoto is located in Arashiyama. Sogen-chi garden is a fine blend of aristocratic tradition and Zen culture, displaying the beauty of the four seasons. Ashikaga Takauji built this temple in 1339 in memory of Emperor Godaigo. The first head of this majestic temple was a noted priest by the name of Muso Soseki (Muso Kokushi). Although the temple no longer boasts its former magnificence, the Sogen-chi-teien, or Tenryu-ji Garden, a garden designated by the Japanese government a special historic and scenic site, still retains vestiges of how it appeared when the temple was established. The garden is arranged so that visitors can enjoy the changing scenery while walking around the Sogen-chi Pond in its center. Strolling garden that cover an immense area of about 4,000㎡ and incorporates the scenary of Arashiyama. In autumn, maple trees turn red and orange of fall color, providing a magical sight. Visitors can enjoy viewing the garden while sitting in the hall or strolling around.